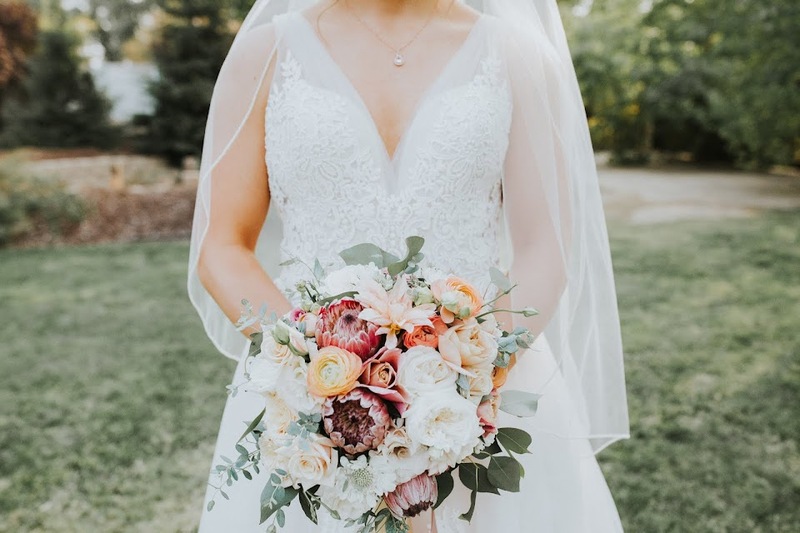 I just can't wait to share more of this beautiful wedding from this fine mid- October Saturday! It was a lovely coral and white hued wedding with lots of textural elements included. 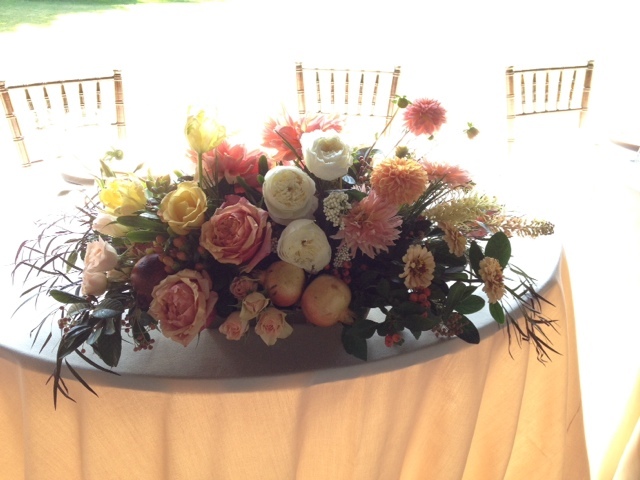 This was the arrangement for the bride and groom's table. Featuring local, small-farm- grown dahlias that were to die for, I grew the zinnias, and a friend grows the white pomegranates on their ranch. Would love to celebrate another event here. Thanks to their great management and team for helping us put together our event without any hassle.